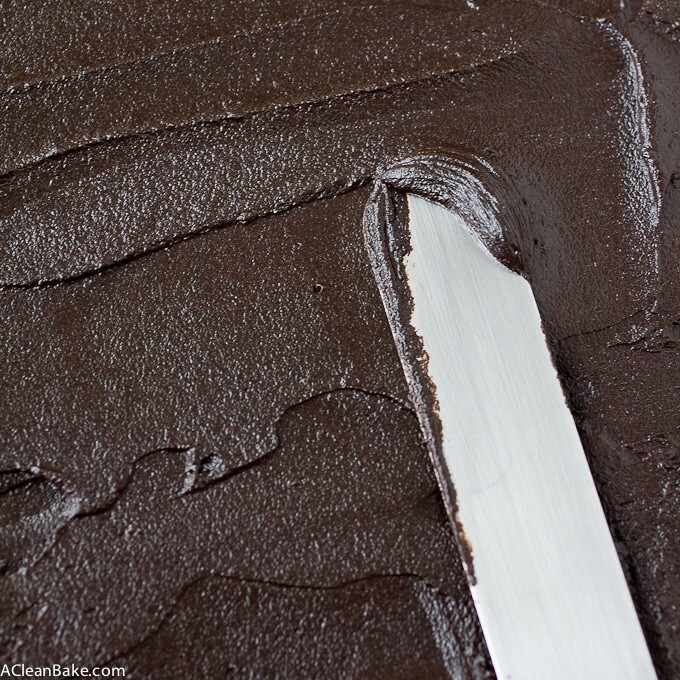 This healthier, dairy free chocolate frosting comes together in minutes using standard ingredients and your food processor! Between this cake and these doughnuts (recipe coming tomorrow), I’ve been squarely in the market for a reliable dairy free chocolate frosting recipe lately. And, well, that’s really the only story behind these recipes. I wish there were something more groundbreaking or salacious, but honestly, I just kind of hit a wall where I had a bunch of naked desserts that needed frosting – so I invented one. Two, actually: One only requires 2 ingredients (not including salt), and the other is completely sugar free. They’re both dairy free, full of healthy fat and take 2 minutes to make. 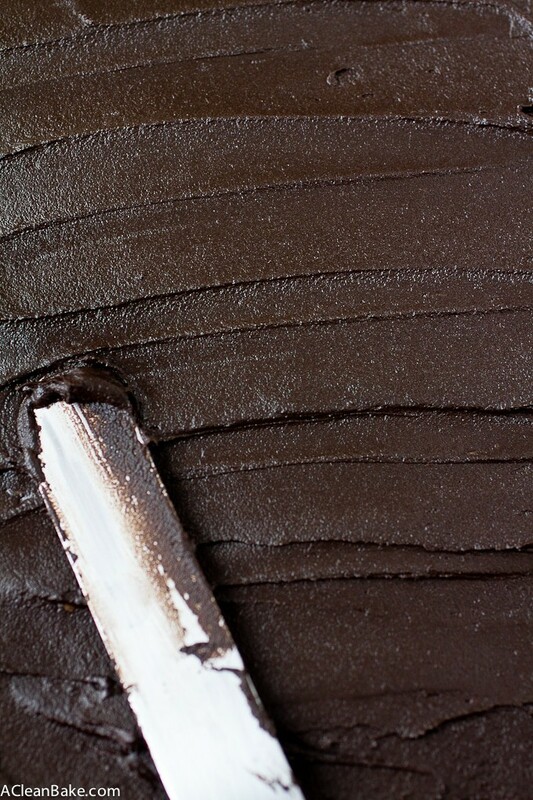 How did we survive this long without chocolate frosting!? In the bowl of a food processor fitted with the "s" blade, pulse the fruit of the avocado a few times to chop. Add the chocolate chips and puree until smooth. Taste and add a pinch of salt if the flavor is too flat. 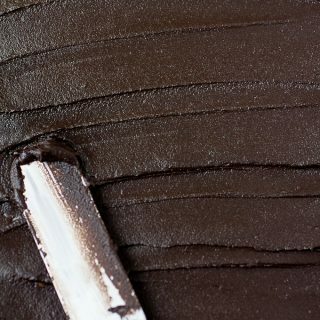 If you want to round out the flavor a bit more, you can add 1/4 teaspoon vanilla extract and 1-2 Tablespoons cocoa powder to the food processor when you add the melted chocolate chips. It's best to make this immediately before you need to use it, but if you must make it in advance, store it in the refrigerator in an airtight container for up to 24 hours. Allow to warm to room temperature, and stir vigorously, before using. 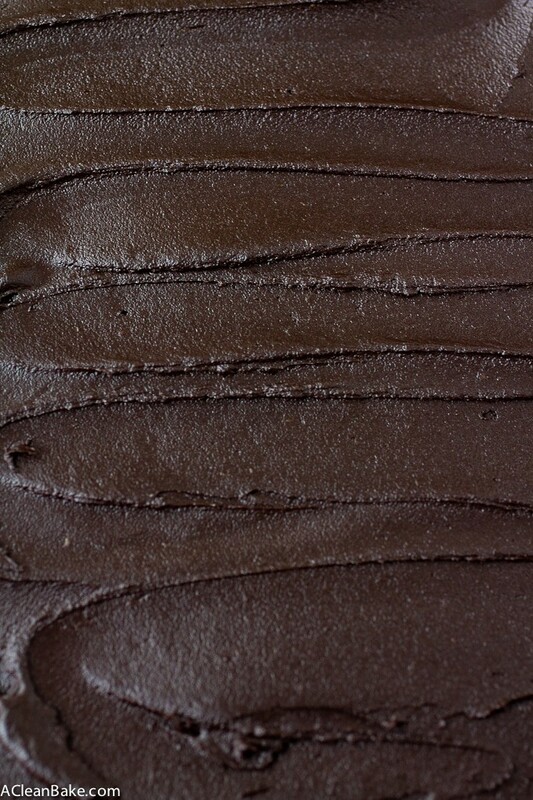 Yield: 1 1/4 - 1 1/2 cups frosting, assuming you are using a large avocado. Add the remaining ingredients and puree until smooth. Scrape down the bottom and sides of the bowl to make sure all ingredients are incorporated. This looks amazing! I would love to try it, but I can’t eat any sweeteners. Is it possible to substitute honey for the fruit sweetener? That would be tricky to do, actually, because honey has so much liquid in it so the frosting would end up being very runny. Granulated monk fruit and stevia are both sweeteners that do not have any glycemic impact (so they should be safe if you react to sweeteners, but check with your doctor first), so I’d recommend you go with one of those if you’re looking for a sugar-free option. Where do you find chocolate chips and dark chocolate that are both dairy and sugar free? I haven’t yet. You can google it (Try Lily’s brand chocolate), or choose either the dairy free or the sugar free option. Sorry I can’t be more helpful!